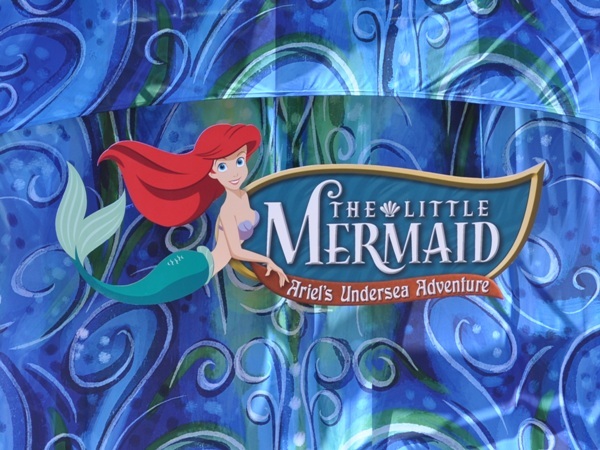 The opening ceremonies were held Thursday for the Disneyland Resort‘s newest attraction The Little Mermaid: Ariel’s Undersea Adventure at Disney California Adventure. 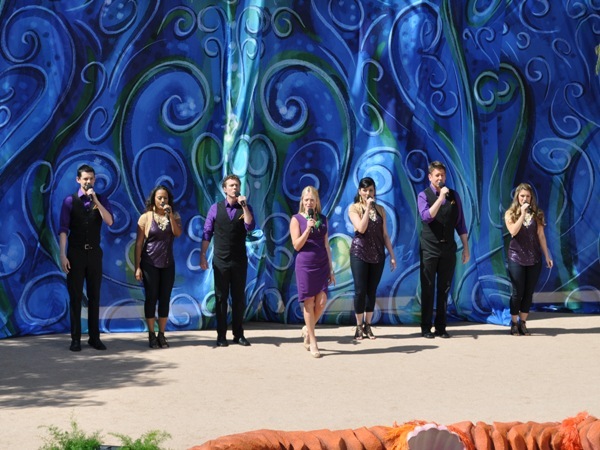 The event featured a few dignitaries and several lively musical numbers, including a performance by a DIS favorite. Read on for some pictures and highlights from the event. 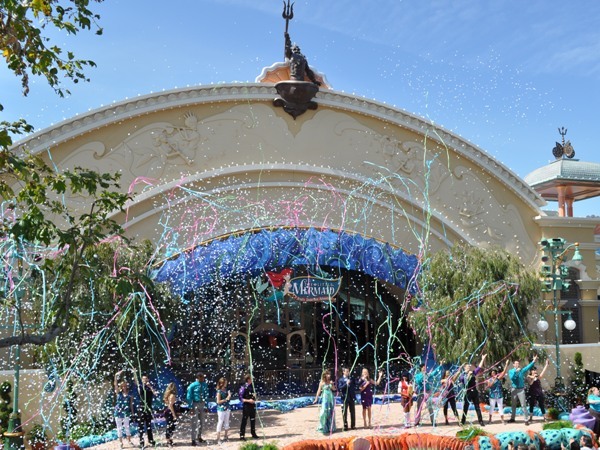 The show began with our “Ambassador Angela” welcoming us and then introducing Chairman of the Walt Disney Park and Resorts Tom Staggs. 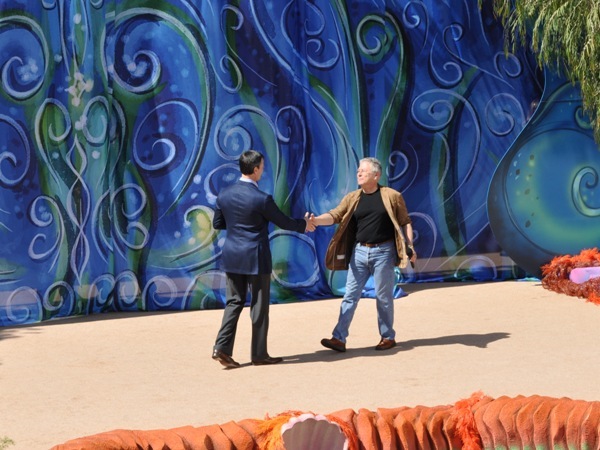 Staggs then introduced Alan Menken, who composed the music for The Little Mermaid, along with many other classic Disney films. Then the show REALLY began! 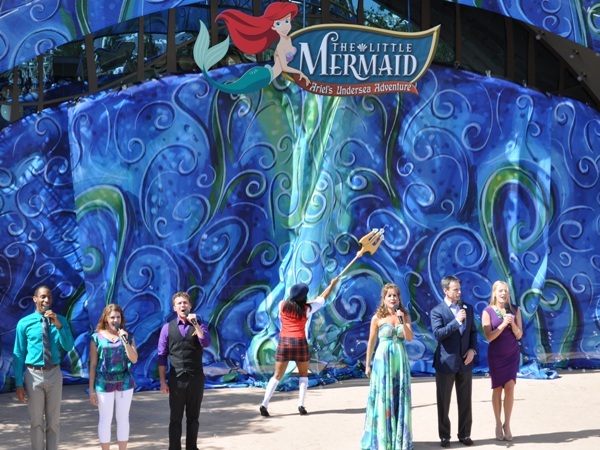 Jodi Benson, the original voice of Ariel, wowed the crowed with the classic “Part of Your World”. The cast performed a medley of “Kiss the Girl” and “Under the Sea” then Benson and Scott joined them onstage to finish out the show. 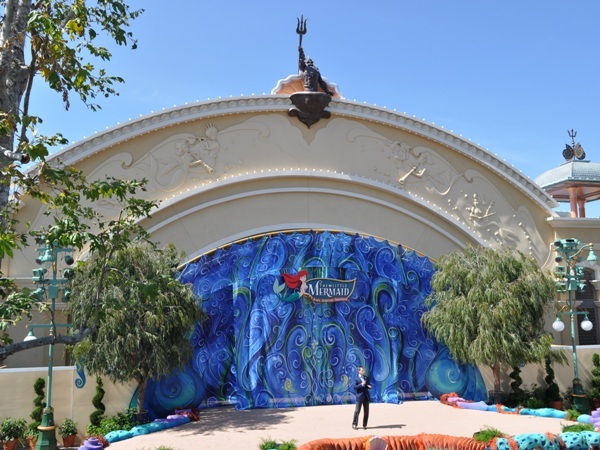 Be sure to check out Wayne Toigo’s blog for a look inside The Little Mermaid: Ariel’s Undersea Adventure.